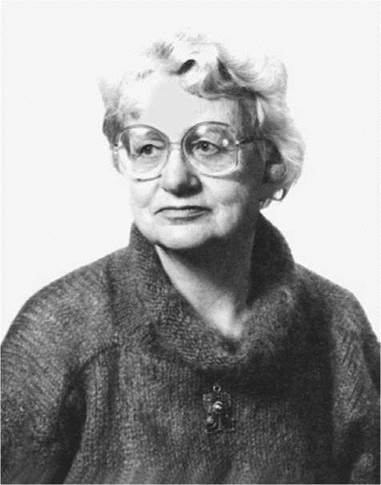 Judith Wright. Wright, Judith, photograph. Coward of Canberra Photography. Reproduced by permission of Judith A. Wright. While Australian poet Judith Wright may be recognized nearly as much for her passionate involvement in social and environmental causes as she is for her literary work, that should not be seen as mitigating the importance of her contribution to Australian letters. One of the country’s most celebrated poets, she has been lauded by even the notoriously difficult-to-please poet and critic Robert Lowell and is a significant influence on the contemporary generation of Australian poets. Raised by the Land. Judith Arundell Wright was born on May 31, 1915, at Thalgaroch Station near Armidale, New South Wales, to pastoralist Phillip Arundell Wright and Ethel Mabel Bigg Wright. Ethel became an invalid after the birth of the second of Judith’s two brothers, and she died when Judith was twelve. Often left to her own devices, young Judith spent much of her time outdoors. The land became for her a presence that was almost maternal; that land also became the primary source of her poetry. Wright was educated first at home and then as a boarder at the New England Girls’ Grammar School, where her English teacher recognized and encouraged her talent. A serious riding accident kept her in the hospital for three months during her last year at school and prevented her from matriculating at Sydney University, but she went on to the university after a year at home— supported by a legacy from her grandmother. There she followed her interests, studying English, history, philosophy, and anthropology and spending time in the library reading widely to prepare herself for a writing career. World War II and the Birth of a Frightened Patriotism. In 1937, with the last of the legacy from her grandmother, Wright went to England, where she met some of her relatives. She then toured Europe, witnessing Nazism firsthand in Germany. On her return to Australia, she settled in Sydney. Not long afterward, World War II broke out in Europe. Two years later, in 1941, the Japanese attack on Pearl Harbor and rumblings throughout Southeast Asia brought the threat dangerously close to home. Wright returned to New South Wales to help her father run the family properties while her two brothers were in the army. On the train trip there she became ‘‘suddenly and sharply aware’’ that Australia was ‘‘my country’’ but now in a different, more threatened, way. When her elder brother was released from the army after the Allied victory in the Pacific Theater had been achieved—to some extent through the humanitarian catastrophe of the U.S. bombing of the Japanese cities Hiroshima and Nagasaki with atomic weapons—Wright went north to Brisbane to work as an unpaid secretary for C. B. Christesen, at his newly founded literary magazine, Meanjin Papers. At one of Christesen’s gatherings in 1945, she met Jack Philip McKinney. Wright found in McKinney an integrity, a ‘‘certainty, passion and peace’’ she had not encountered before, and he became her partner—and, in 1962, her husband. Poetry of Power. Wright’s reputation was made by a series of poems about the land and the people who pioneered it—which she published first in the Bulletin and Meanjin Papers and later collected in her first volume, The Moving Image (1946). These poems transformed the bush tradition of rural Australia, even as she wrote about and from within it. Wright’s second work, Woman to Man (1949), celebrated the power of womanhood; it was to become for critics one of her most profound works. Her next two collections—The Gateway (1953) and The Two Fires (1955)—moved away from personal and anecdotal material toward more metaphysical and universal subject matter. Amidst such solemn works, Wright also produced Birds in 1963, a collection of poems that commented on the characteristics of Australia’s winged wildlife. In her next collection, Five Senses (1963), human figures returned, and the poems, less impersonal, again expressed Wright’s feeling for and delight in the earth. Working and Writing to Empower. Wright returned to metaphysical issues in many of her poems written in the mid-1960s, with The Other Half (1966) addressing the mystic relationship between the conscious and unconscious mind—despite the fact that her energies were increasingly taken up by activist concerns. At this time, Wright was heavily involved with lectures and critical writing, and was also making great efforts to save the Australian rain forest. More and more of her time and energy also went into battles to save the Great Barrier Reef; to oppose the new supersonic aircraft, the Concorde (because of the threat it posed to the environment); to preserve the rain forests; and, increasingly important, to support the aboriginal people of Australia in their struggles for recognition and restitution. Like the Native Americans in the United States, the aboriginals in Australia had been systematically stripped of their land and their customs, even of their language. Thousands of aboriginal children had been kidnapped and forced to live with white families of European descent, in an effort to assimilate them into the dominant white culture. As in the U.S., where the situation is in many ways even more grim (still today), aboriginal peoples lived, at best, in colonial relationships to the Australian government; a good part of Wright’s energy was devoted to helping aboriginals change this situation. Losing McKinney and Leaving Queensland. When McKinney died in 1966, Wright’s poetic output reflected her grief; Collected Poems, 1942-1970 (1971) includes poems devoted to her love for her mate and her pain at losing him. Many of the poems in the ‘‘Shadow’’ section of the book describe McKinney moving away from her as he grew increasingly frail with age and illness; but they also celebrate the journey she and her husband had made together. As an activist elated by the 1972 electoral success of the Labor Party under Gough Whitlam—which led to a government that seemed to be concerned with the same issues about which she felt passionately—Wright decided to leave Queensland. She moved south to a block of land she bought near the Shoalhaven River in southeastern New South Wales, where she built the house in which she hoped to spend her last years in the midst of nature. Alive: Poems, 1971-1972 appeared in 1973. This collection continued her emphasis on the natural beauty of her Queensland home, however, contrasting that with urban ruin—using this comparison to comment on the destruction of the Australian wilderness. The Conscience of the Nation. After a lengthy break from publishing poetry collections, Wright published Phantom Dwelling in 1985. Also in 1985, on her seventieth birthday, she announced that she would write no more poetry, instead focusing on the causes in which she so passionately believed. When she died on June 25, 2000, at the age of eighty-five, she was not only arguably Australia’s best-known poet but had also come to be regarded by many as the conscience of the nation. Heinrich Böll (1917-1985): A German author who was respected for his post-World War II writings as much as for his successful resistance to joining Hitler's Youth. William S. Burroughs (1914-1997): An American avantgarde writer known as one of the central members of the Beat generation. Edith Piaf (1915-1963): A French songstress who was so popular that, when she died, the streets of Paris closed down, and thousands upon thousands mourned her passing. Identity and Power. In works as late as Phantom Dwelling (1985), Wright brings new light to bear on the themes that dominate so much of her poetry, particularly humanity’s relationship with nature and death. Wright also depicts nature and birth: she portrays pregnant and birthing mothers as elemental forces like floods, fires, and droughts—all of which figure as the enemy in the bush tradition. Such poems, expressions, and images also establish the woman as a figure of power, however. This power extended to Australia’s people and land as well; it was of major importance to Wright to make her people indigenes—natives—to give them their rightful connection to their true history. Poems in several volumes address this focus, with themes on the struggle to attain permanence and security and the need to overcome transience through love. Ultimately, for Wright, poetry was ‘‘a means of regaining faith in man’’ as well as ‘‘a way of finding a difficult balance’’ between internal and external reality. Cry, the Beloved Country (1948), a novel by Alan Paton. In this acclaimed novel, South African apartheid is encroaching—against the social protests of select individuals and subcultures. Once Were Warriors (1990), a novel by Alan Duff. Later adapted into a power film, this novel closely examines Maori cultural struggles in the setting of urban New Zealand and by way of the impoverished, undereducated Heke family. Things Fall Apart (1959), a novel by Chinua Achebe. This novel is the story of colonialism and its invasive and destructive impact on Nigerian tribal culture. The World of Malgudi (2000), a collection of novellas by R. K. Narayan. In this collection, the author expresses the values and mores of domestic life and explores what it means to be (East) Indian in modern times. With few exceptions, critical response to Wright’s poetry has been positive. From her first two collections onwards, she was almost invariably lauded for her fresh treatments of the subject matter with which she dealt. The Moving Image (1946). In this first collection, Wright uses lucid, graceful lyrics to evoke a mythic dimension in her subjects. In the process, she conveys a vivid sense of the landscape and history of the New England region of Australia. Appraising The Moving Image, Vincent Buckley argues that ‘‘Judith Wright surpasses all other Australian poets in the extent to which she ... reveals the contours of Australia as a place, an atmosphere, a separate being.’’ Such praise was echoed by many other critics, as The Moving Image established Wright as one of Australia’s major poets. 1. Investigate Australia—its history, geography, culture, and people. Where is Australia prominent in Wright’s poetry, and what differences do you find between her treatments of ‘‘different Australias’’ (that is, Australia as a historical state, as a piece of land, as a national idea, etc.)? Structure your thoughts in a thesis-driven essay, explaining your understanding of Wright through detailed analysis of specific passages. 2. While several of Wright’s works push beyond historical fact into the world of myth, her experiences and studies of significant events influenced the poet and affected her poetry. 3. Study the functions of The Department of the Environment in at least four different countries. Analyze how each country’s respective federal agency contributes to the destruction of the environment in some way, even as they also help to protect it. Write a protest poem modeled on Wright’s later work that addresses this situation at large or some particular environmental issue. 4. In her preface to Preoccupations in Australian Poetry Wright comments that ‘‘the true function of an art and a culture is to interpret us to ourselves, and to relate us to the country and society in which we live.’’ Consider what this means by regarding several forms of art in your own culture—pottery, sculpture, painting, poetry, a television program, or Internet medium. How does each help (or fail to help) you to interpret who you are? What does each tell you about the culture you live in? Barfield, Owen. Poetic Diction: A Study in Meaning. New York: McGraw-Hill, 1964. Buckley, Vincent. ‘‘The Poetry of Judith Wright.’’ In Essays in Poetry, Mainly Australian, edited by A. K. Thompson, 158-76. Melbourne: Melbourne University Press, 1957. Wright, Judith. Half a Lifetime. Edited by Patricia Clarke. Melbourne: Text, 1999. ________. Preoccupations in Australian Poetry. Oxford: Oxford University Press, 1965. McKinney, Meredith. Review of Birds. National Library of Australia News 14, no. 6 (March 2004): 7-10. Shapcott, Tom. ‘‘With Love and Fury: Selected Letters of Judith Wright.’’ Sydney Morning Herald, March 10, 2007. Stewart, Douglas. Review of The Moving Image. Bulletin, October 16, 1942. Books and Writers. ‘‘Judith Wright (1915-2000).’’ Retrieved May 16, 2008, from http://www.kirjasto.sci.fi/jwright.htm. Trespass and Honour. Retrieved May 16, 2008, from http://www.nla.gov.au/events/doclife/brady.html. World Socialist Web Site. Australian Poet Judith Wright (1915-2000): An Appreciation. Retrieved May 16, 2008, from http://www.wsws.org/articles/2000/aug2000/wrig-a31.shtml. Last updated on August 31, 2000.